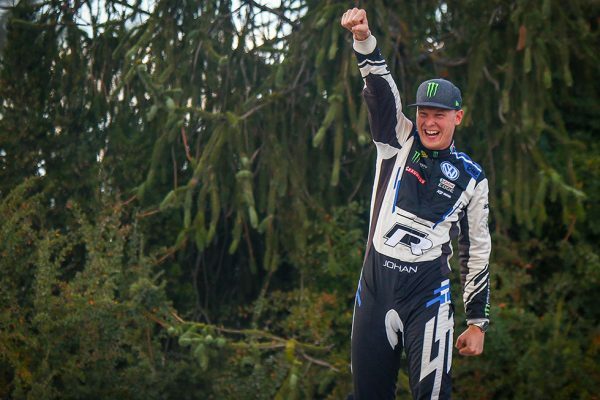 Sweden’s Johan Kristoffersson extended his lead in the FIA World Rallycross Championship presented by Monster Energy by winning round nine at the Neste World RX of Latvia. PSRX Volkswagen Sweden’s Kristoffersson took a maximum points score and his eighth win of the season at the wheel of his Volkswagen Polo R in Riga, Latvia’s capital city. Three manufacturers were represented on the Latvia RX podium with EKS Audi Sport’s Mattias Ekstrom finishing as runner-up in his Audi S1 and Team Peugeot Total’s Sebastien Loeb completing the podium with his Peugeot 208. Ekstrom also claimed the Monster Energy Supercharge Award for having the fastest reaction time at the start of the final as he moved to second in the race behind Kristoffersson at the first corner. In the battle for position at turn one, GRX Taneco’s Niclas Gronholm climbed to third. The Finnish driver had a strong race in his Hyundai i20, in which he challenged Loeb for a place on the podium until the chequered flag, equalling his best result of the season so-far from round one at Catalunya-Barcelona. All three Team Peugeot Total drivers; Loeb and Sweden’s Timmy and Kevin Hansen started the final and the Hansen brothers ran fifth and sixth after the start. Timmy passed Kevin for fifth on lap one, the pair finishing in the same positions at the end of the six laps. “Mattias (Ekstrom) had a slightly better launch than me in the semi-final but I just braked as late as I could to take the lead and from there on we had a race for the first three laps. I did some mistakes to be honest and after that I was a little but more cautious,” said Kristoffersson. “In the final I had a great launch, we did some small changes on the car between the semi-final and final, it was actually a little bit better so the last one and a half laps of the final reminded me of last year’s win here.” PSRX Volkswagen Sweden also continues to lead the World RX Teams’ Championship. 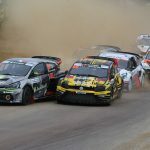 PSRX Volkswagen Sweden’s Petter Solberg finished fourth in semi-final one and EKS Audi Sport’s Andreas Bakkerud was fourth in semi-final two. Both GC Kompetition drivers, France’s Guerlain Chicherit and Great Britain’s Liam Doran challenged for a place in the final and finished fifth in their respective semi-finals, but both GRX Taneco’s Timur Timerzyanov and EKS Audi Sport’s Nico Muller were unable to finish their semi-finals after contact. ALL-INKL.COM Munnich Motorsport’s Timo Scheider was first reserve for the semi-finals in 13th, ahead of Latvian star Janis Baumanis. 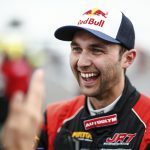 The final round of the FIA European Rallycross Championship for Supercar also took place in Riga, where Latvia’s Reinis Nitiss won the Championship. Qualifying for the semi-finals put the title beyond the reach of his rivals, Nitiss then finished his season in the best way by winning his home event with a lights-to-flag victory in the final, driving a Ford Fiesta. 2017 Champion Anton Marklund was Top Qualifier in the Intermediate Classification and finished the final third to claim second in the series ahead of France’s Cyril Raymond, who was second in the Riga.